Sarcoptic mange is a skin disease caused by tiny mites that live and lay their eggs under the skin in people and animals. 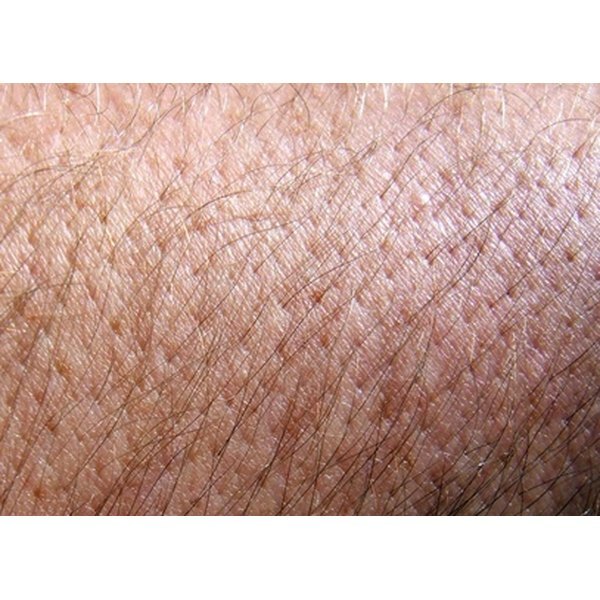 Mange is usually called scabies when found in humans, and sarcoptic scabies is characterized by hair loss and wrinkling of the skin. Scabies is spread through skin-to-skin contact with infected people or animals, even when symptoms aren't present. It is important to get treatment if you suspect you have contracted sarcoptic mange, since it leaves the skin vulnerable to secondary infections. Avoid direct skin contact with other people and animals as soon as you suspect sarcoptic mange. Wash all bedding, clothes, and other items that have been in contact with an infected person's skin in hot water. Contact your doctor or family physician. Tell her you suspect you have sarcoptic mange or scabies, and get an appointment to go for testing as soon as possible. Follow your doctor's treatment regiment to get rid of sarcoptic mange. Treatment usually involves the use of a topical lotion applied to clean skin. All people who have been in extensive contact with someone infected by sarcoptic mange should be treated. Treat pets with sarcoptic mange by getting an oral prescription for the generic medicine Ivermectin from your veterinarian. Avoid contact with wild animals that may be affected. Scabies and mange treatments for people are only available with a doctor's prescription.